I think the the best crowd reaction was for Ben Spindler picking up the gym memberships! Thank you to all the bidders on the Australian 7's Rugby Jersey signed by the team and donated by Jesse Reupena Parahi. In the end it went for $710.02. Appreciate the donation and the support. Cheers from the Avoca Beach Rugby Club. If you couldn't get to Rio to support the Australian Rugby 7's Team, get a bid in the auction to win a signed Australian Rugby 7's 2016 Jersey donated and worn by Jesse Parahi who'll be playing at the games. Thanks Jesse and good luck. This item is being auctioned and will end at 6.00pm on Saturday 13 August at our last home against Kariong. We'll watch the closing stages of the auction on the big screen in the clubhouse and the raffles will also be drawn as part of speeches. 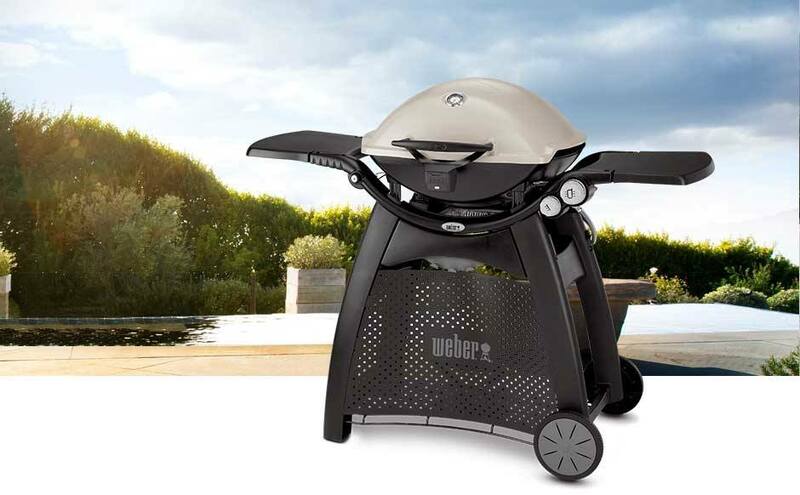 ​The 1st prize in the raffle is a brand new Weber Q 3200 kindly provided by Kincumber Mitre 10. 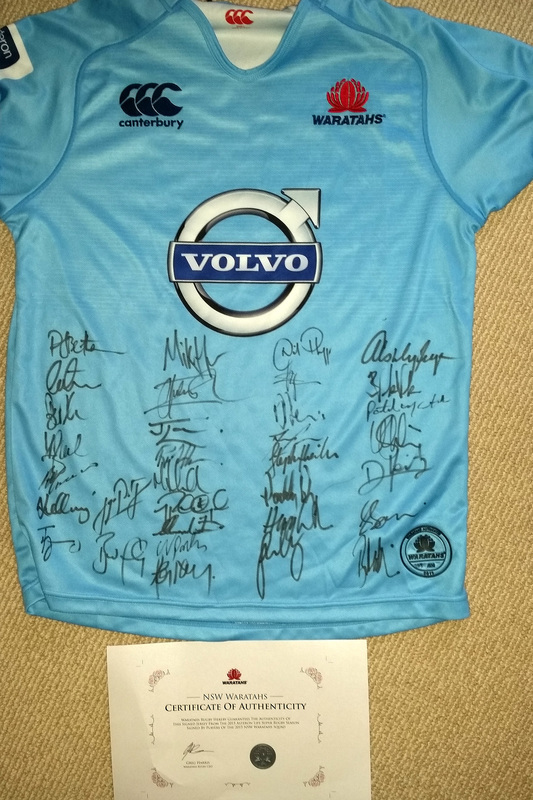 2nd prize in our raffle is a signed 2015 NSW Waratahs jersey kindly donated by Terry Woodward. 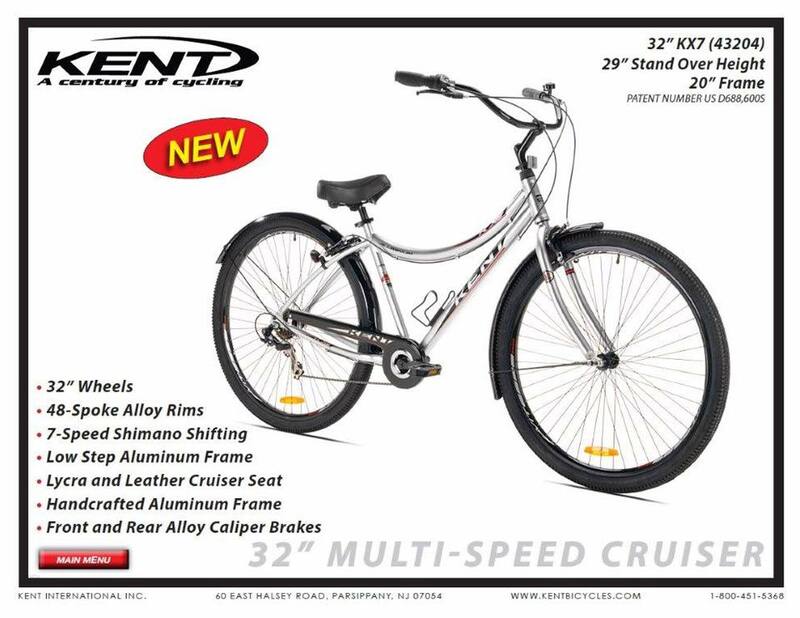 3rd prize in our raffle is a brand new 32" Kent KX7 Oversized Cruiser Bike, thanks to Julia Ninness for organising this!. ​4th prize in our raffle is 2 x 3 month memberships with our kind friends at Kincumber Gym. Thanks for the support guys. Summer is just around the corner why wouldn't you get a few tickets to win this great prize. A current Sharks player has - spot if you can see him in this photo. The 6th and final prize in our raffle being drawn next Saturday 13 August is a $250 gift card to spend at David Jones. Thanks to Dan Reihana! What a fantastic day for Janelle Hall on Saturday. A huge turnout of people ignored the windy conditions to be there to support Janelle. 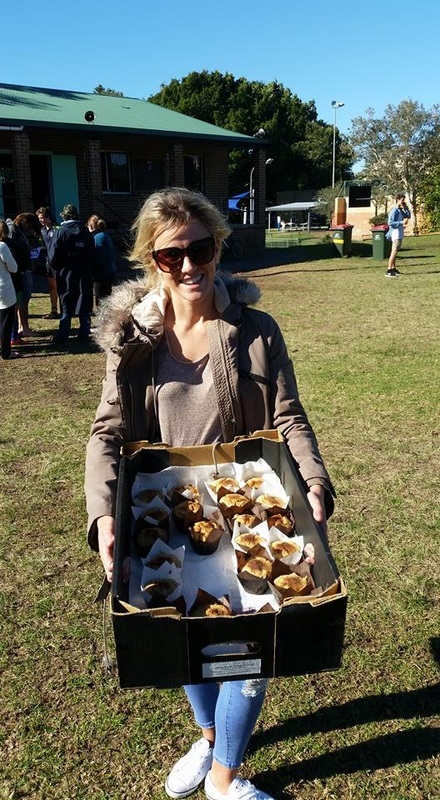 So many people looking for ways to assist and their generosity illustrated how highly regarded Janelle is not just at our Club, but in the local community. Thanks also to the opposition players who joined the big crowd in the Clubhouse for the presentations and raffle draw. This list of people I am thanking will probably miss someone, my apologies if I have! In the canteen Janelle was there all day of course, with her regulars Lorna Latham & Michelle Ritchie, with Loretta Woods & Tracey Forde joining the crew. Carolyn Sturgess & Kylie Vawdon were kept very busy at the bar with Stew Jenkins labouring away getting drinks from the fridges to the bar. Julia Ninness, Kerrie Yates & Deborah Morris sold a huge amount of raffle tickets. Paul Briggs kept caffeine up to the crowd, Megan Lawler with her handmade muffins, Robert Burns worked the crowd professionally(?) with the PA, Richie Pogson & Terry Sturgess for helping wherever they could during the day, especially in cleaning up the Clubhouse during the big night. The BBQ helpers all did a great job, special mention to Paul Jacob who often happily puts in long spells on the BBQ before watching his twin sons in 1st grade. Club captain Tim Warwick organised the ummm . interesting .. bad suit day - which had suitably shocking participants! Of course we have all of our other volunteers, dedicated contributors who volunteer so much time and knowledge; coaches, managers, first aiders .. while it was sort of a normal match day, along with the players they contributed hugely to what was one of the great days for the Club. 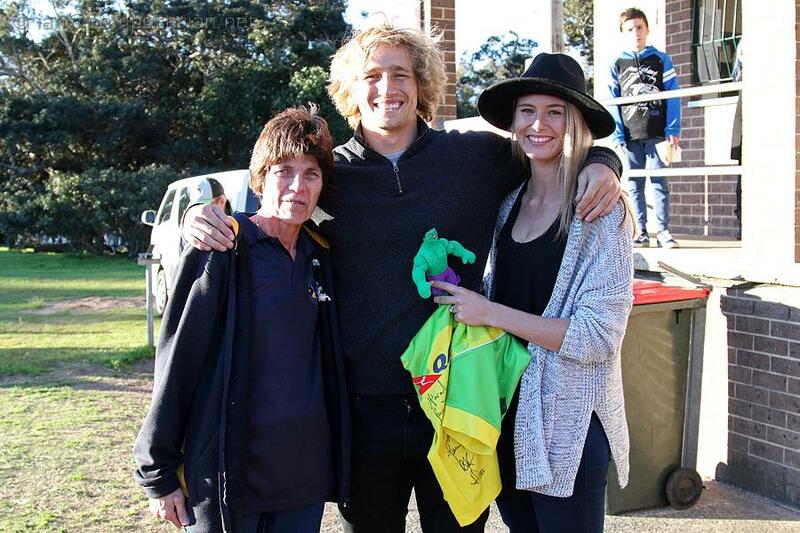 Jesse Parahi took a break from his hectic pre-Olympic schedule to be there with Carlien Parahi to visit Janelle, present his 7s jersey and then stayed for a long time to draw the raffles, catch up with mates and receive very loud encouragement from the crowd for success in Rio. It was a day/night for everyone to be proud of - gotta love this Club! I am sure no one has forgotten that this weekend is the start of our fundraising for Janelle Hall. It commences tonight with our weekly raffles at Avoca Bowlo - be there between 5.30 & 6.30 to get your tickets in the meat, seafood and voucher raffles. On Saturday takings from the canteen and $1 from every drink from the bar will be for Janelle. Also we will be running a raffle all day with the fantastic first prize of 2 tickets to the Bledisloe Cup Luncheon in Sydney on 19 August. Those seats are valued at $230 each, it will be a great event with Brad Thorne as the guest speaker. Big thanks to Chelsea Spindler and her Frontrow Events company for this generous donation. Other prizes include 2 pairs of Archies thongs from our sponsors East Gosford Podiatry. Another sponsor Bendigo Bank has arranged a $50 voucher at Cafe Cressa at Kincumber, and there will probably be a few extra goodies by the end of the day! Thanks to Carolyn Sturgess from Simply Sublime for a gift voucher, to Grant Pavett from Karmalogic for vouchers to see him concerning your tax returns and to Avoca Beach Markets for a signed Central Coast Mariners jersey! Your generosity is greatly appreciated. Be on the lookout for ticket sellers, and open your purses/wallets! The jerseys that have been donated will be part of ongoing fundraising, with Daniel Reihana using his IT expertise to organise on-line events for those - as well as setting something up for anyone who can't make it to The Sharkpool tomorrow and wishes to contribute to the fundraising. Stay tuned for full details. See you all there tomorrow, it is going to be BIG day!! An incredible start to our fundraising weekend for Janelle Hall, more than double our usual sales at the Friday night raffle and much more than our previous record! The Bowlo was packed and mostly with Sharks people. Thankyou to to everyone who came along to contribute, fantastic to have you all there! 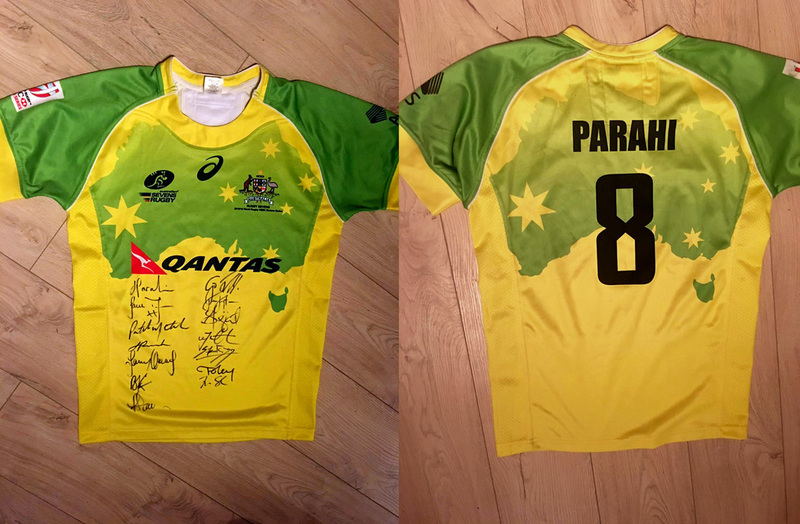 Another fantastic donation, this time we give a huge thanks to Olympian Jesse Parahi for his gift of his signed Aussie 7s jersey to assist with the fundraising for Janelle Hall.